When it comes time to plan a holiday, the internet is an essential research tool. Whether to pick a destination, find a hotel or identify the local sites on and off the beaten path, online content is essential to helping most of us make these plans. And that's why it is so essential that popular tourist destinations, and those hoping to attract more visitors, have high quality content online. A new research paper from Oxford Economics shows just how critical that online content is for tourism destinations across Southern Europe. Consumers increasingly turn to and trust what they find online with over 60 percent of consumers seek information online from websites and social media making these sources more trusted than traditional media and personal recommendations. In fact, 56 percent of tourism revenue in the EU is now researched or booked online, an increase from 43 percent since 2012. Since Oxford Economics’ initial research, many tourism destinations have improved their bookings, revenue and job growth by increasing the amount of online content available. 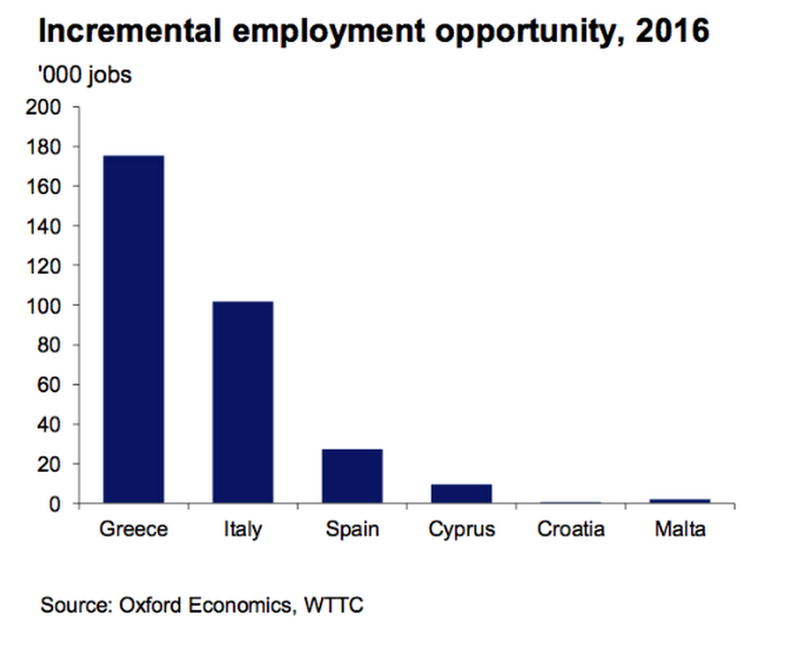 For example, more than 180,000 and 90,000 new jobs have been created in Italy and Spain respectively due to improvements in online content. Cultural content is a key component of what potential tourists are looking for when planning a holiday. Tourism-related searches have grown by about 45 percent since 2010. Across southern Europe, 23 percent of tourism searches are culture-related including for music, arts and festivals, historic sites and museums. And for many of the most lucrative source markets like the U.S., these cultural searches are even higher than some European countries where mass market sun and beach holidays remain important. 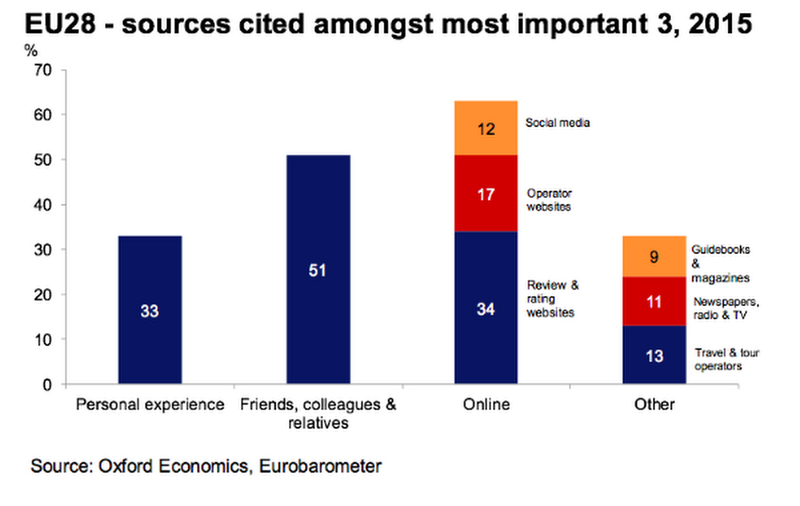 Oxford Economics’ research shows that not only are online resources essential research and booking channels for tourism, but that there remains a gap between the amount of online content from Southern Europe and the potential demand from source markets. Hundreds of thousands of new jobs could be created by investing in more online content. Google is working with partners across these markets to encourage more tourism businesses and cultural organizations to improve their online content to help capture this potential increase in visitors. Our Grow Greek Tourism Online program has helped tens of thousands of Greek tourist destinations get online and improve their web presence. We trained Online Advisors who provide face to face training for businesses in more than eighty cities across Greece. We’ve also worked with 234 cultural partners in these countries, making cultural heritage like the Acropolis Museum in Athens, the Uffizi Gallery in Florence and the Museo Reina Sofia in Madrid more accessible to tourists and locals through Google Arts and Culture. In Malta, where 43 percent of total tourism-related queries are focused on cultural attractions, historical sights and famous buildings, cultural information represents a concrete opportunity for local tourist businesses and cultural institutions to grow their audiences online. We worked with Heritage Malta to create the “Wonders of Malta.” This is a unique collection offering viewers from across the world the opportunity to experience the most spectacular collection of Maltese treasures all in one place, at g.co/wondersofmalta. We also made Street View available in Malta, benefiting organizations and businesses. The street-level imagery of the location can help them promote and increase awareness of their business—whether it's a restaurant, hotel, local attraction or any other point of interest.